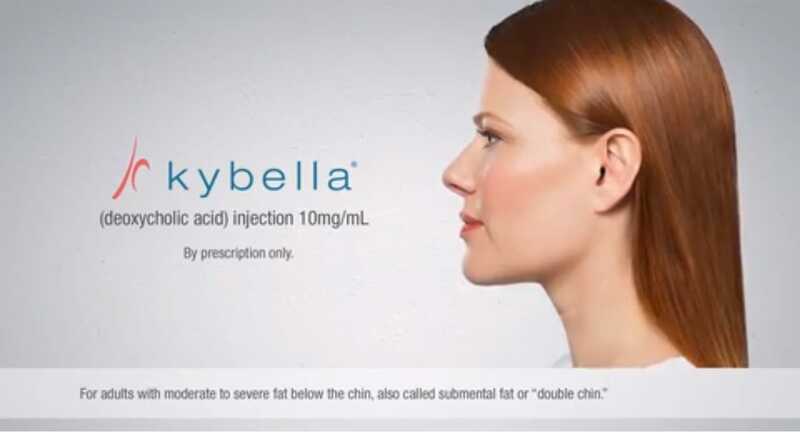 Kybella® is the first and only FDA approved injectable treatment for submental fullness, or fat located in the area under the chin commonly known as a “double chin”. A “double chin” can develop as a result of genetic predisposition, weight gain, hormonal fluctuation, or other factors. In many cases, diet and exercise offer limited improvement or no improvement at all. Fortunately, Coastal Dermatology now offers a non-surgical treatment option. What Should I Expect From a Kybella ® Treatment? KYBELLA® is indicated for individuals 18 years of age or older, who are in good general health, and who desire treatment for a double chin. Our practitioners will determine if this method can help you attain your cosmetic goals during your initial consultation. If Kybella® is the right option, we will create a treatment plan and schedule. Typically patients require 2-4 treatments scheduled 4-5 weeks apart. Most patients return to normal activity within one to two days of Kybella® treatment, and many are able to resume their daily routines the same day. Some tenderness, bruising, mild numbness, and swelling may be present following treatment, but these effects should subside over the next few days. Your results will be gradual and should look natural. Soft tissue fillers have been used for more than a century to improve contours and scars, soften wrinkles, and enhance lips. The appearance of wrinkles and facial folds can be smoothed by adding volume underneath and bringing the skin back up to the surface. This is done by injecting materials called dermal fillers into the skin. Our providers perform soft tissue augmentation using a wide array of dermal fillers. Minor swelling or bruising may appear at the injection site. The resulting decrease in wrinkles is immediate. The procedure generally takes 30 minutes and is performed in the office. 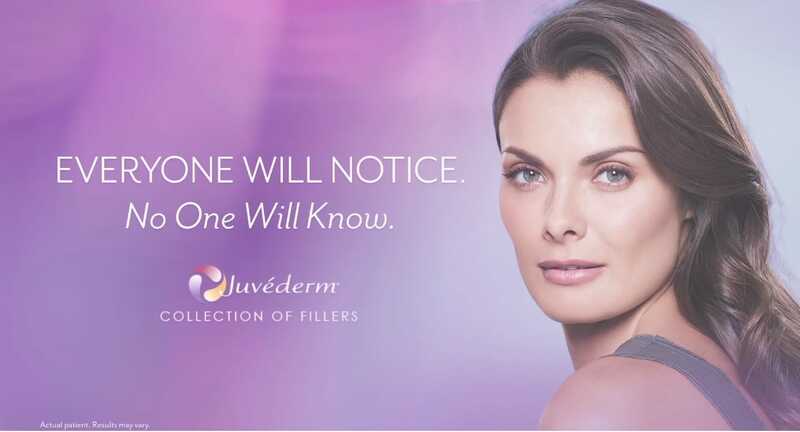 Preferred products include: Juvederm™, Voluma®, Vollure™ and Volbella®. Botox is a nonsurgical, physician-administered aesthetic treatment that improves the appearance of lines and wrinkles. Botox works by reducing the contraction of the muscles that cause those persistent lines that develop over time. This results in relaxation of the wrinkles around the eyes, forehead, frown, and laugh lines. A chemical eyebrow lift may also be performed. Botox will not radically change your facial appearance. You will still be able to perform facial expressions without those stubborn wrinkles and creases. We inject tiny quantities of Botox directly into your facial muscles. No anesthesia is required. A slight stinging sensation likened to a bug bite will subside immediately following the injection. You may return to work immediately after the procedure. The full effect of wrinkle relaxation will be seen in four to seven days. One treatment can show visible results for three to six months. After several treatments many patients experience longer periods of wrinkle reduction.